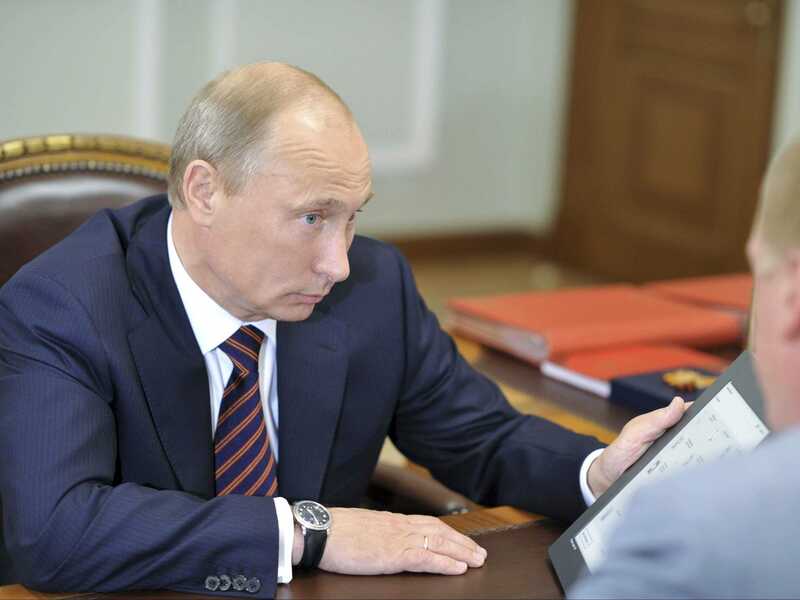 REUTERS/Alexei Nikolsky/RIA NovostiRussian Prime Minister Vladimir Putin holds a prototype of a tablet computer. Russia is planning to launch its own version of Wikipedia to correct what it sees as errors about the country on the crowd-sourced encyclopedia. An article on the country’s Presidential Library website says Wikipedia has demonstrated an inability “to detail and reliably inform” its users about Russia. This wouldn’t be the first time that the Russian state has stepped in where it sees information that it disagrees with being distributed. In 2005 state-owned Ria Novosti launched news channel Russia Today to provide a “Russian approach to…news”. On Monday the channel was threatened with statutory sanctions by UK media regulator Ofcom after it was found to have breached impartiality rules for broadcasters for the third time. In conjunction with the National Library of Russia, the Presidential Library plans to launch a digital resource to provide “objective and accurate” information on the country to citizens. It will reportedly provide access to more than 50,000 books and archival documents from libraries across the country’s 27 regions. It plans to showcase “the country and its population, the diversity of the state and the national system of Russia” and, like Wikipedia, it will be constantly updated with new information as it becomes available. However, there were no details as to whether users will be able to edit or submit information to the site — the basis of the Wikipedia model. Although this does pose problems for accuracy, it also allows for contributions from a wide range of sources giving it a breadth and depth of information that early competitors following a more traditional top-down model failed to keep pace with. It also limits the scope for spreading deliberate misinformation, as users can report submissions that they believe to be inaccurate to Wikipedia’s editors. The Presidential Library is already confident of success, claiming the new site will be “one of the most popular Russian internet resources”.